Caption slip reads: “Photographer: Mack. Date: 1954-12-15. Reporter: Clausen. Assignment: Gallstone kids. 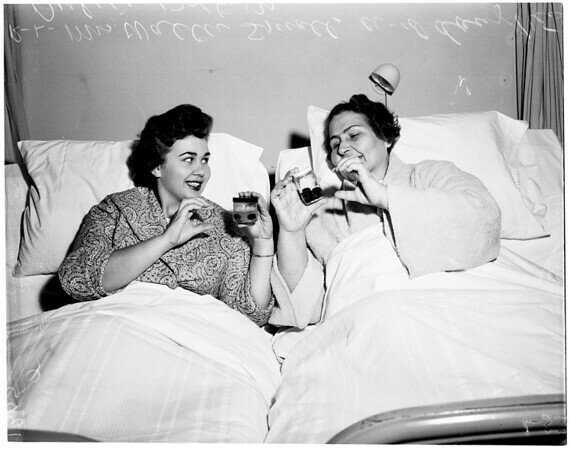 19/20/35/36: Mrs. Walter Small, right, and daughter, Dulcie, 20, in Cedars of Lebanon Hospital where they both had gallstones removed”.